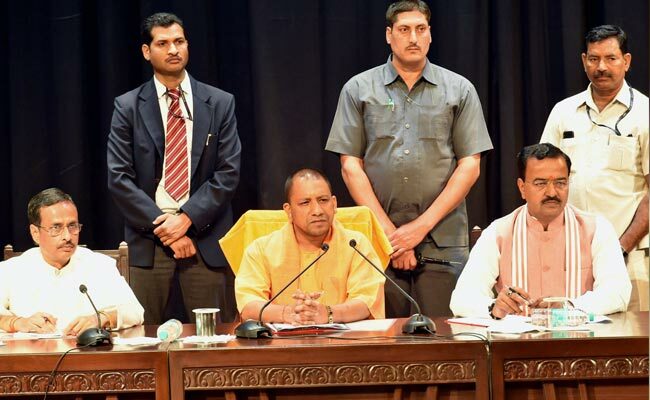 Yogi Adithyanth ji has been made CM of Uttar Pradesh despite the whining and bitching of the mainstream media and the anti-Hindu intellectual cabal. His elevation to Chief Ministership has invited rudali even from the paisa wala/true secular types of the Right wing in India. So, it seems BJP has done something right. Significance of this appointment for the Hindu society and its future should not go unnoticed even if the BJP intellectuals and spokespersons don’t seem to have the backbone to openly admit what BJP has done with this appointment. For long the pseudo-intellectual brown coolies of the west had defined itself as the sole guardian of Idea of India, which could roughly translate from absence of any real Hindu history prior to invasion of India by Muslims and British to secularism (including all of its stupid variations) which closes down Hindu schools while forcing Hindu students to study in madrassas and convent schools or loot Hindu temples to pay for the Hajj and Christian pilgrimage to Jerusalem subsidy. Nobody appointed these coolies to define what India is or her interests should be. These are the relics of British/Muslim imperialism in India and slavery to failed Soviet communism from post-Independence period. The job of these coolies from British time is to provide justification for the successive anti-Hindu Congress governments for screwing the Hindu population. By fielding Hindu candidates in all the 403 constituencies in a state where Muslims are 20%, BJP had said a big F*** Y** to the secular cabal and their pseudo-intellectual wanking about Idea of India. Sorry but “Tunde Kebabs” is not Idea of India. By electing 325 MLAs out of these 403 candidates, people of UP had proven that all these pseudo intellectuals are relics of India’s colonial past and are in no way representative of Indian aspirations today. The number of muslim MLAs have been reduced to a historic low of 25 in this election. As if to rub salt in the injury, BJP has now appointed Yogi ji, a Hindu no-nonsense nationalist, as the CM of the state and predictably, the intellectual slaves of the west and Dhimmis in media and secular parties underwent a tremendous meltdown. This is a paradigm shift in politics with respect to Hindu society and marks a beginning of a stage where shouting secularism is actually becoming synonymous with anti-Hindu slogan and will help Hindu parties and Hindu card playing politicians’ efforts. For a long time the Secular parties like Indian National Congress and its caste based clones like Samajwadi party and Bahujan Samaj Party were the ones dictating the tone of politics in India with all of them being overtly or covertly anti-Hindu, except towards their own castes. For a long time, this strategy worked very well too- Hindus despite being 80%+ were never appeased or given preferential treatment by the various governments (including the half-baked Hindutva ones of NDA-1 under ABV) till now because unlike the Muslims, Hindus were divided across castes and as such their numbers were smaller compared to the 15%+ muslims who voted as a block. And under the guise of secularism, these parties did everything in their power to keep the Hindus divided across the caste lines, while consolidating the Muslim votes under their own banner with multiple sops at the expense of the Hindus. BJP successfully engineered a coalition of all castes in UP (learning from its anti-reservation remarks in Bihar) and brought together a consolidation of Hindu votes. There is the reason why all 403 candidates of BJP were Hindus. As anyone with even a small brain can tell- 80% is 4 times larger than 20%, something the Secular cabal which ruled India till now seemed to have forgotten. So even if 50% of the 80% vote, it will result in a 40% vote share in a three way fight of an election and that is what happened. Rather than destroying castes which the caste apologists of RW and the secular cabal of the left would like you to think, BJP masterfully united the castes along the Hindu lines. Rise of neo-middle class from all castes, thanks to liberalization since 90s and reservations allowed for a resurgence in OBC and SC Hindu population which consolidated behind Hindutva. This is something BJP and other Hindu well wishers should take note while going into future elections. Abhinav Prakash outlined the caste equations of this election and the paradigm shift with respect to Yogiji’s elevation on this issue which can be read here. Despite all these facts, there are certain cretins in the social media which try to give credit to nationalist/moderate muslims (in whichever alien universe they exist!!) for BJP victory. It is better to ignore these cretins as if given chance as they have no self respect whatsoever while seeking secular validation. This is something is very easy to miss unless one has paid a close attention to the social media handles and pages of the Hindu traditionalists and Hindutva RW pages. For a long time, it was the Vikastards of the BJP support base which dominated the discussion and policy decision priorities since the emergence of Modi as the PM of India. But BJP per se came to power largely riding on the backs of the Hindutva voter base, which liked Modi’s no nonsense image as much or even more than vikas. Ignoring the larger voter base of the BJP, which cares for Hindu issues more than development, in favor of the smaller vote base of BJP, which only cared about development than culture and honor, was neither fair to the majority of BJP voters nor is it a smart strategy for BJP or Hindu society at large. In the long run, Vikas can be promised by anyone while Hindutva is unique to BJP as an ideology. Besides, most Indians haven’t actually risen out of the socialist brainwashing of the Congress or the anti-capitalist shock from the British loot and hence the number of Indians who actually believe in free market per se is very low. We at YugaParivartan maintained for a long time that majority of the BJP vote and support was actually coming from Hindu voter bases and not from the paisa wallahs who wanted development at all costs, sometimes even at the cost of honor and dignity. And we were proven right in this election. By smartly fielding all candidates to be Hindus and then strategically highlighting the mistreatment of the Hindus in the secular governments and their anti-Hindu rhetoric, BJP managed to tap into the anger against the secular government. The election results from west UP are clear indicator of how Hindus there were sick of secular posturing by all parties. And unlike the Paisawallahs, who think that there is a proper price for everything i.e. for the right % of GDP points, honor can be sold or ignored, most of the Indians are actually quite self-respecting and would place honor and dignity above money, as any self respecting Human should. And this is a smart position to have too- India can become a Super power/richest nation in the world and control 25% of the world economy again after 1700s despite being reduced to being the poorest country in the world due to colonial loot under British and later Congress mismanagement but Pakistan can never become a Hindu nation with Hindu culture again. Point being, a poor nation can become rich any day if it gets proper institutions and government but culture once lost is lost forever. Pakistan is now a bigger Arab wannabe than Qatar or Kuwait for precisely that reason and this is what Paisa-wallahs of BJP never seem to get. As such, Yogi’s appointment to Chief Ministership of UP is recognition of Hindutva voter base by the BJP. There are some people who think that only a minority in the Social media circle wanted Yogiji as a CM and that vast BJP SM supporters preferred a less polarizing candidate. However, thats not true. Most on social media Sites are elites compared to the heart of India, who know more about the ground situation of the UP and its realities and are not likely to be brainwashed into believing secular nonsense of the Media or its white wannabe secular clowns. They are the ones who have to deal with Kairana and West UP/Muzzafarnagar riots. As such, appointment of Yogiji as the Chief Minister of UP is the popular choice among the people of UP, who voted for BJP. Yogi Adityanath won MP seat from Gorakhpur 5 times straight without any help and his MLA candidates have even defeated and reduced the BJP MLA candidate running against him below deposit-recovering level votes. And unlike most typical BJP leaders, Yogi ji is a Hindu nationalist who isn’t from the old guard RSS which still thinks it has magic ability to cure Islam. Of course, this is not to say that Yogi ji isnt a good administrator. He is an excellent administrator and his wins in his own seat on his own without RSS to back him up and the way he has administered trust and organizations over the years shows how clear sighted he is. But the fact of the matter is, his image as the hard line Hindutva nationalist is more prominent than his image as the administrator and optics is equally important in politics. So at least from now on, Paisa-wallahs and the BJP bhakths (who defend even 40% reservation for Hindu girls in Muslim universities plan) will not have excuses that media projection and propaganda is why BJP has not delivered anything substantial for the Hindu issues so far. That is, compared to appointment of Yogi ji as the CM of UP, implementation of UCC, junking of Article 370, giving parity for Hindus in RTE etc will be nothing communal. This appointment marks a tectonic shift in the politics of India and Hindu society. To the surprise of many “centrist” Hindus and no surprise to Hindu traditionalists like us at YP, appointment of Yogi ji as the CM of UP has pissed off the Moderate Taqqiyya wallahs and has made them take their taqqiyya masks off to the full view of “centrist” Hindus, if only for a brief moment. They too had a massive and hilarious meltdown in Twitter and other social media sites about how Hindutva is as evil as Jihadis/ISIS and how Yogi ji is equivalent to Muslim terrorists. As we had always maintained here at YP, there is no such thing as a moderate muslim and all the moderate muslims are now ex-muslims. The religion is incompatible with any other religion as it is the most virulent form of Abrahamic monotheism there is and as such is incompatible with Pagan cultures like that of Hindus. At least now, centrists should take note on how we prove to be right on every single issue we talk about. Yuga Parivartan team wishes hearty congratulations to the new Chief minister of Uttar Pradesh for fixing its mess and taking the state, which is at the heart of Hindu Civilisation, forward. Looking at the actions of Yogi ji in the first few days, Hindus who have voted for him wont be disappointed and if the Media/secular cabal/anti-Hindu intelligentsia keeps at it, Yogiji may become our Prime Minister and restore our civilization to its former glory as the center of the world for economy, culture, religion and sciences as it once was 1000 years back.